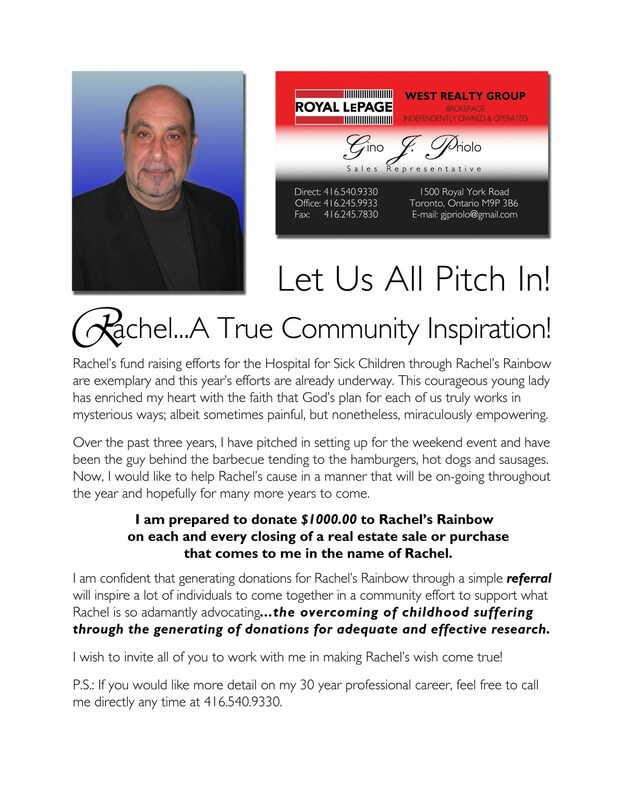 Save the date for the 5th Annual Rachel's Rainbow! Give the gift of hope this holiday season. Drop in and have your professional photo taken with Santa. 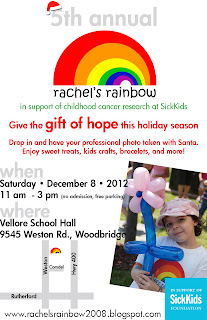 Enjoy sweet treats, kids crafts, bracelets, and more! Click on the flyer below to enlarge it. 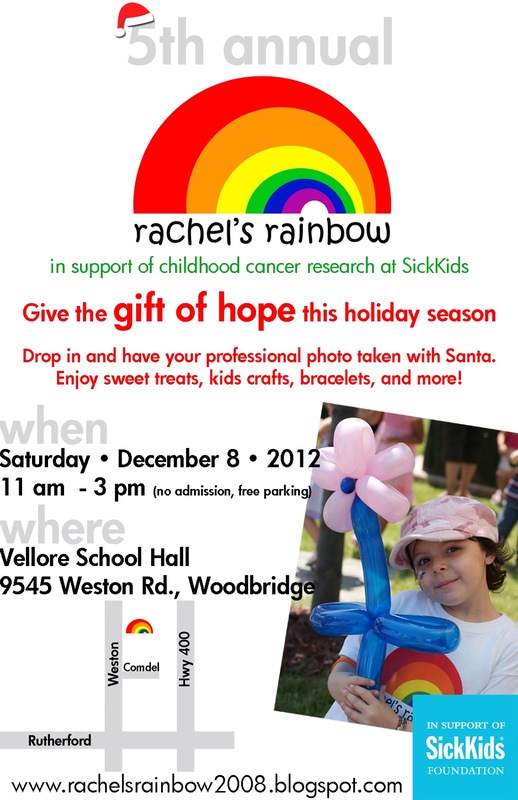 For more information regarding this event, please contact Manuela, the administrator of Rachel's Rainbow.